Bobby “Bob” Lewis Conley, 84 of Butler, Missouri passed away Tuesday, March 27, 2018 at his home. Cremation, with private family memorial service planned for a later date. Memorial Contributions are suggested to the Butler Senior Center. Arrangements entrusted to the Mullinax Funeral Home (660-679-0009) in Butler, Missouri. Messages of condolence for the family may be left at www.mulinaxfuneralhome.com. Bob was born a twin on February 2, 1934 in Independence, Missouri to Marvin L. Conley and Mamie (Braddy) Conley. He was married to Loretta Sue Beckham on August 18, 1956. 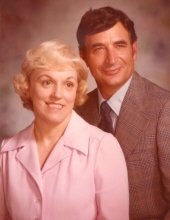 After 45 years of marriage, Sue predeceased him on January 27, 2001. Bob grew up in foster care from the age of five. Although he was separated from his family of five siblings as a child, he enjoyed a close relationship with them in later years. He graduated from Butler High School in 1952. After high school, Bob served two years in the US Army, then spent the remainder of his adult life in Butler working at the Osage Valley Electric Coop. He retired after 44 years of employment. After retirement, Bob became active in various community service activities. Among those were Habitat for Humanity, City Council, Butler Planning Commission and others. He was the first Chairman of the Neighborhood Pride Committee. He donated many hours of labor, alongside friend, Bud Armstrong, refurbishing the old high school gymnasium. For most of his life, Bob was a member of the RLDS church, then attended the Butler Christian Church after Sue's death, where he sang in the choir. Bob was a talented man. He had a beautiful singing voice and in his early years brought tears to the eyes of those who heard him sing The Lord's Prayer in church. He enjoyed painting pictures to share with family, built beautiful furniture, had a picture framing business, and the stained glass pieces he made were amazing. His main love was his home and yard, for which he is quite famous around Butler. Bob is survived by two daughters, Kathy Bledsoe Curry and Barb (Mike) Webb, both of Butler; two sons, Greg (Virginia) Conley of Gladewater, Texas, Jimmy Conley of Overland Park, Kansas; eight grandchildren, Larry Bledsoe, Ben Bledsoe, Mandy Martinez, Brad Courson, Jamie Webb, Jenifer Conley, Bryan Conley and Sherri Conley; and twelve great grandchildren; brothers, Gene Conley and Jim Cable; sisters, Eva May Dye and Peggy Peterson. He also leaves special friend, Linda Smith. In addition to his parents and wife, he was preceded in death by his twin brother, Bill Conley. To send flowers or a remembrance gift to the family of Bob Conley, please visit our Tribute Store. "Email Address" would like to share the life celebration of Bob Conley. Click on the "link" to go to share a favorite memory or leave a condolence message for the family.